The 5th All in Print China successfully came to an end at the Shanghai New International Expo Centre, China on 17th November 2014, after a bustling 4-day session. While China's printing industry is transforming into a bigger and stronger platform, this spectacular event, themed with "Inspiring Vision of New Printing Era", displayed a variety of updated printing technologies focusing on industry innovations and reconstructing. It was definitely a grand presentation and a printing feast for our visitors, and successfully presented the newest energetic and motivated printing technologies. The event took place in an unprecedented exhibition area of 82,000 sqm. 680 domestic and international exhibitors participated and presented their latest inventions, offering a good opportunity for visitors to understand the latest global trends. The exhibition halls were crowded by visitors. On the first day visitor numbers amounted up to 24,208 visitors - an increase by 30.45% compared to last year (18,557). Among these were 20,990 local visitors (26.01% increase compared to All in Print China 2011) and 3218 foreign visitors (69.37% increase compared to All in Print China 2011). During the 4-day exhibition, more than 150 Chinese and 40 overseas visitor delegations from different countries such as the US, Korea, Australia, India, the Philippines, Malaysia attended the show. All in Print 2014 hit a new record of 61,820 total visitors and 106,653 visits, each with an increase of 11% comparing to All in Print China 2011. This atmosphere was fully appreciated by the exhibitors. The exhibition featured various highlights. "Four-new" economic products were successively launched, a lot of them debuting at the show or presenting new product release for the first time to the public, including smart production and eco-friendly concepts. With the largest exhibition area of 2,000 sqm at All in Print China 2014, Canon displayed its brand new strategy of digital printing named "Digital Printing, All in Canon", and published 8 digital printing products covering multiple product lines; Fuji Xerox presented Versant 2100 Press, its new eye-catching color digital printing system; on the second day of the show, Fuji Film released an inkjet digital printer named JetPress720SB2; Konica Minolta held an unique product release for bizhub PRESS C1100/C1085; DINGA made an stunning appearance with RYOBI 924 and Mitsubishi v3000. Fascinating products, innovative technologies and crowded exhibition halls contributed to positive sales. HP and other exhibitors sold numerous machines and equipments during All in Print China 2014. 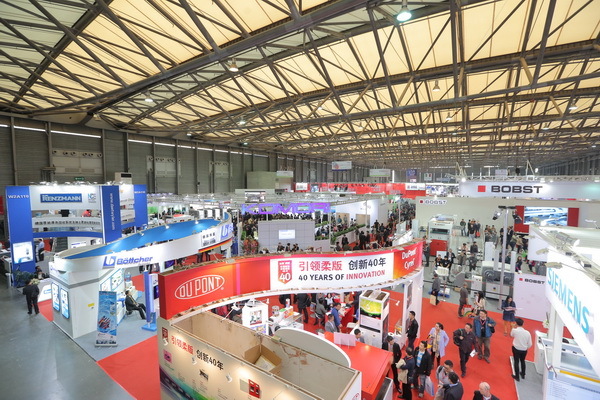 All in Print China 2014was held in close conjunction with many conferences. 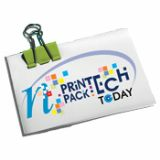 On each show day, conferences with different topics engaged professionals to talk about the future of the printing industry. The main forum "2014 Global Printing Summit Forum" & "14th Forum of Asia Pacific Graphic Art" gathered experts of the printing industry associations from 5 countries in the US, EU and Asia-pacific region, and provided an international vision and connected industry peers all over the world. At the main technology forum "China International Printing Innovation Summit," world-leading suppliers from China and abroad released their new technologies, achievements and applications. Industry players also took this opportunity to approach topics including industrial changes and trends, as well as innovative technologies and industrial applications. The "Digital Printing in China" Tech Summit Forum and "Canon Delighting You Always - Keyin Cup" Award are the most authoritative and professional ceremonies in the digital printing industry, with its 7th contest this year engaging 168 companies and 518 works. Hailed as "Academy Awards in label field", "Sun Cup" Asia Label Awards Ceremony and "Global Label Technology Summit Forum" provided a top-notch stage for label technologies. The 4th Green Printing Seminar is a high-end event in China's Green Printing industry. 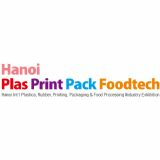 It aims at sharing the latest green printing technologies, promoting the edge-cutting printing companies and green printing equipment and technologies. 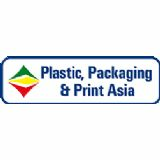 Discover the future of printing, see you at All in Print China 2016! Initiated in 2003, All in Print China has developed through 11 years in 5 editions. Built to a "market-oriented, professional, international and brand-focused" exhibition, All in Print China has become one of the most influential exhibitions in China and the world. Serving as a platform for communication ideas and demonstrating new developments, All in Print China contributes greatly to the progress and the future of China's printing industry. 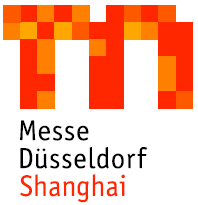 The 6th All in Print China will take place from 18th to 21st October 2016 at the Shanghai New Expo Centre. We look forward to see you again!